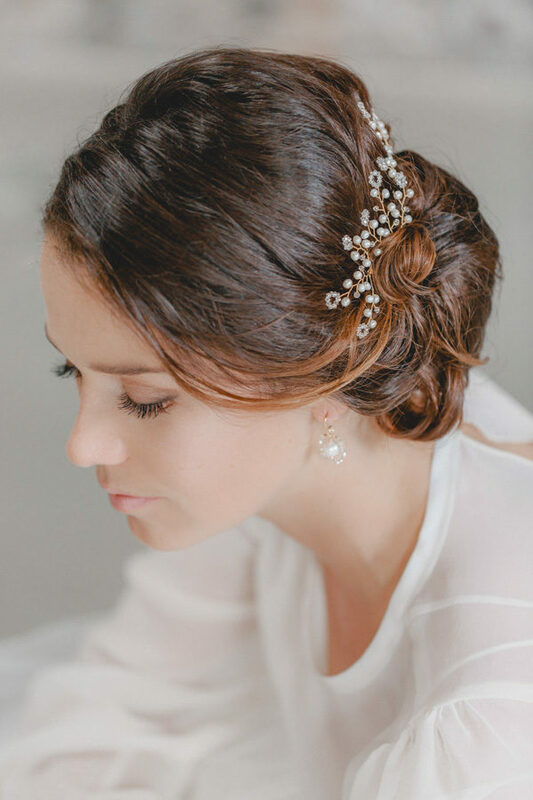 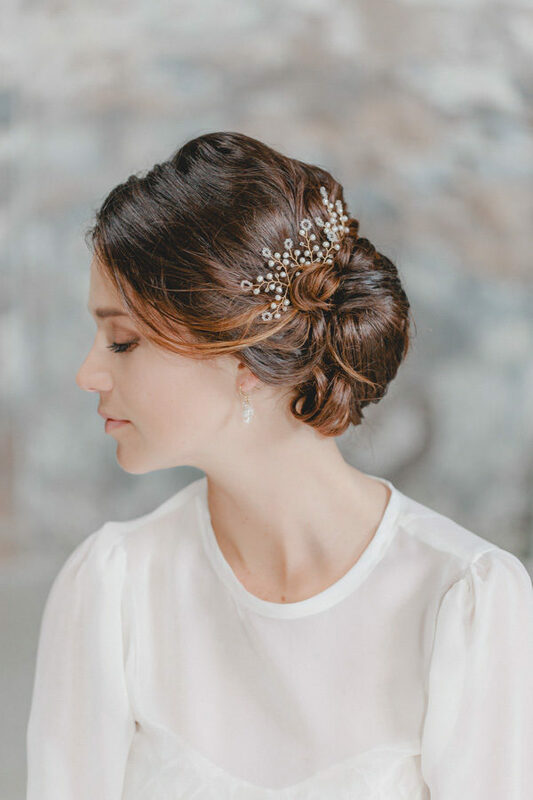 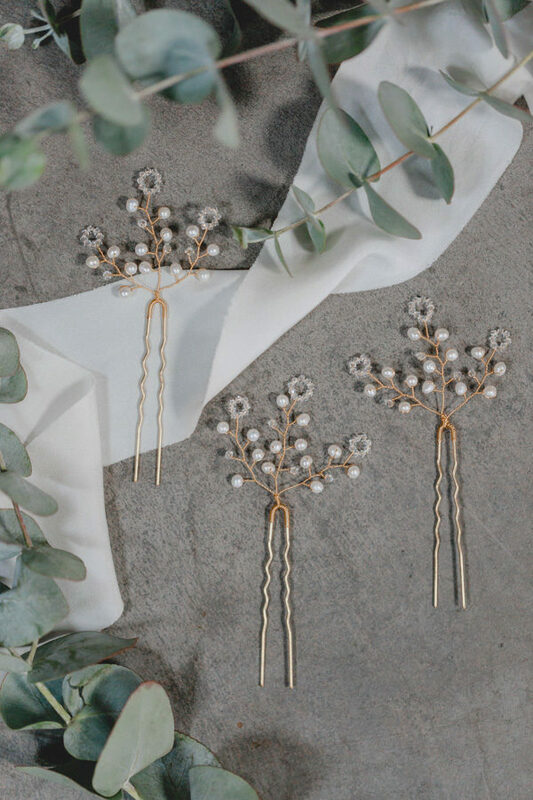 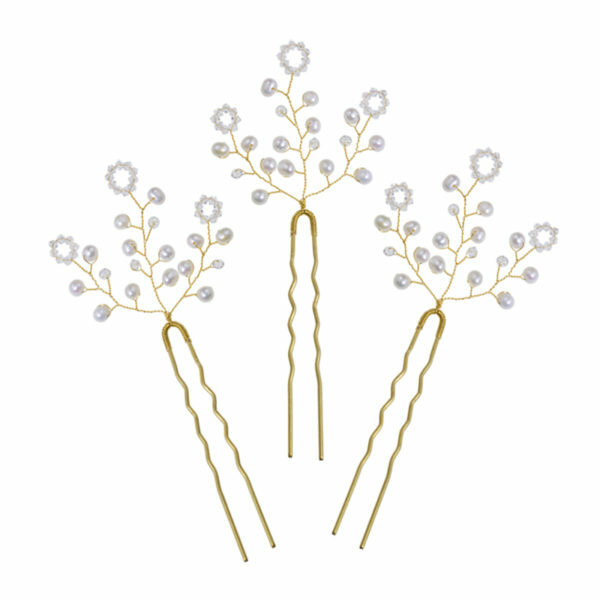 This intricately branched hairpin is crisscrossed by delicate shimmering freshwater pearls and glittering Swarovski crystals, which as a highlight at each end have been worked into a circular flower shape. 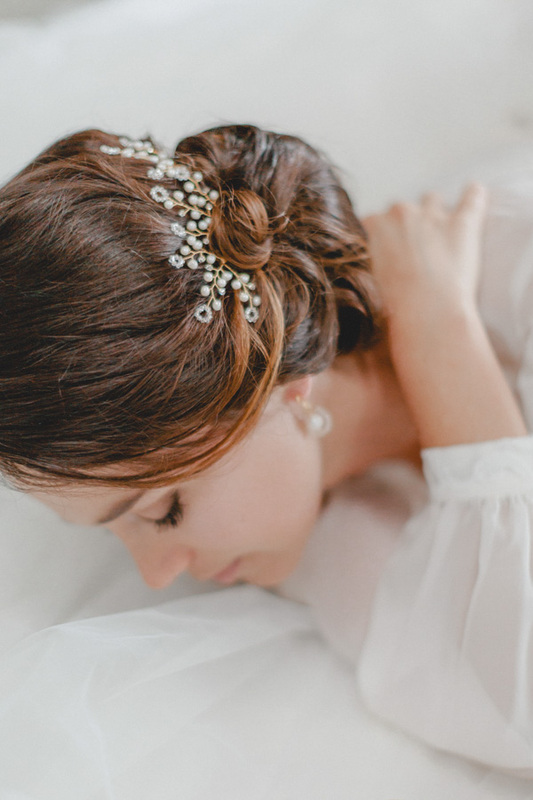 Depending on the styling, it can be used as a single eye-catcher in every bridal hairstyle or multiple designs can be arranged together make a larger hair accessory. Through its playful elegance, it transforms up-do’s into romantic works of art. 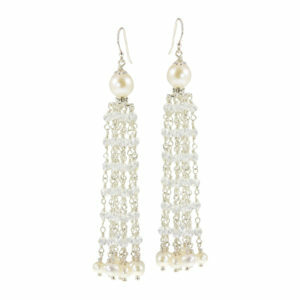 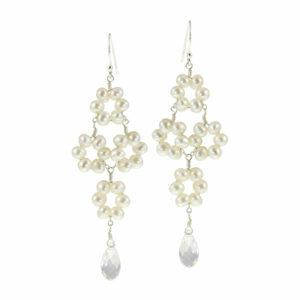 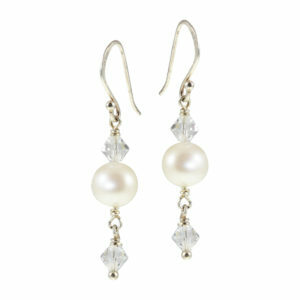 And as the name suggests, it makes the wearer happy with every look.